"Despite threats that their children would go to orphanages if they did not cooperate with the [Communist] regime, and despite attempts to destroy their marriages and offers to help them leave the country to stop their undermining the system, there were women who risked their lives to fight Communism. When men were locked up during martial law women continued the fight." 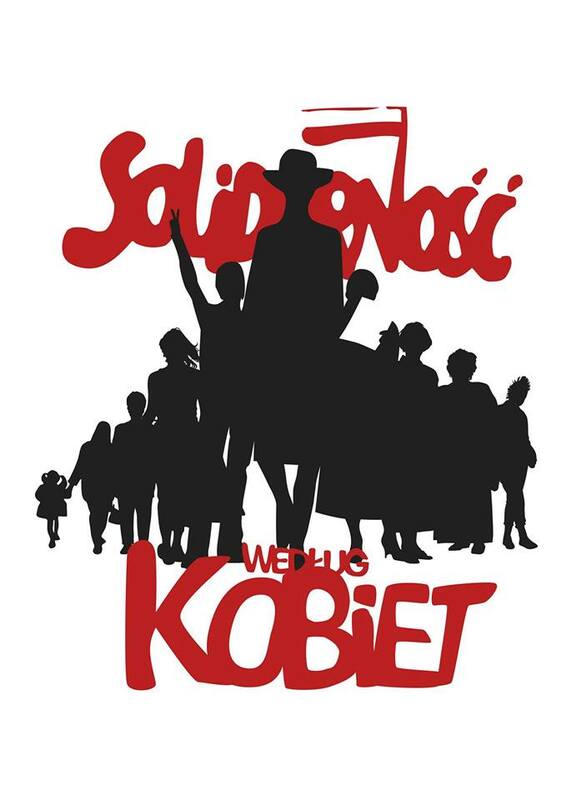 In January 2012, Polish directors Marta Dzido and Piotr Śliwowski began their work on the feature-length documentary entitled Solidarity According to Women. The movie tells the story of the forgotten Polish heroines in the anti-Communist opposition movement of the 1980s: Jadwiga Chmielowska, Anna Dodziuk, Joanna Duda-Gwiazda, Janina Jankowska Henryka Krzywonos, Ewa Kubasiewicz, Barbara Labuda, Helena Łuczywo, Ewa Ossowska, Zofia Romaszewska, Bożena Rybicka, Grażyna Staniszewska, Jadwiga Staniszkis, Ludwika Wujec, Ewa Zydorek, and others whose wisdom, determination, and courage helped overthrow the oppressive political system in Poland. Director Marta Dzido, who is also the narrator, writes about women who were too often written out of this crucial part of Polish history. Shana Penn, Vice President, San Francisco–Kraków Sister Cities Association, Deputy Honorary Consul for the Honorary Consul for the Republic of Poland in the San Francisco Bay Area, and author of Solidarity’s Secret: The Women Who Defeated Communism in Poland (University of Michigan Press 2005, newly published as Sekret Solidarności by W.A.B. in Warsaw), congratulates Marta Dzido and Piotr Śliwowski on behalf of the SF-Krakow Sister Cities Association and encourages everyone to see the film as it becomes available. Ms. Dzido studied at the Polish Film School in Łódź and made her debut with a novella, A Mark Left by Mom, published in the anthology “Proza życia” (The Prose of Life 2003; reissued as a separate book in 2006). Her debut novel, entitled “Małż” (The Clam 2005), was followed by a hypertext, “Matrioszka” (2013). “Ślad po mamie” and “Małż” have been translated into Vietnamese, and all three of her books have been adapted to the theater. Marta Dzido has served as director of photography for the documentary Underground Women’s State (2009) and co-directed (with Piotr Śliwowski) Downtown, a documentary that won the Hollywood Eagle Award in 2011. From 2005 until 2012 Mr. Śliwowski worked as a reporter and producer for TVP Kultura – a popular culture channel on Polish TV. His first movie was the documentary entitled Downtown (2010) -- co-directed and produced with Marta Dzido. Mr. Śliwowski is also a director and producer of the historical documentary series Independent Culture in the Polish People's Republic (2010). He also participated in an artistic film project Repetition (recreation of Zimbardo's experiment) by Artur Zmijewski (Biennale, Venice, 2005).